Unfortunately car components wear out over time and the hazards you encounter on the road cause parts to become damaged or broken. At Tilden Car Care Center we focus on helping you keep up with preventative maintenance so that you don't have big surprises that leave you stranded on the side of the freeway. 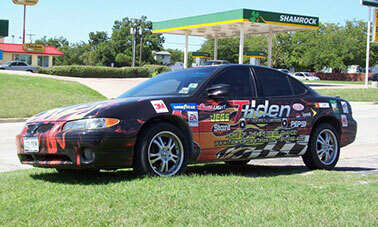 At Tilden Car Care Center, your complete automotive care center has all your repair and maintenance needs covered. We have three locations to serve you around the Fort Worth, TX area including one in White Settlement, TX. We install only quality replacement parts. Give us a call at any of our three locations. Are you wondering which location is most convenient? Call (817) 246-4100 we can help you find the location that is right for you. Let us help keep you safely and economically on the road. We service all makes and models and offer free shuttle services.